Last night, Cliff and I had date night arranged. He wasn’t feeling that great, and I was pretty tired. 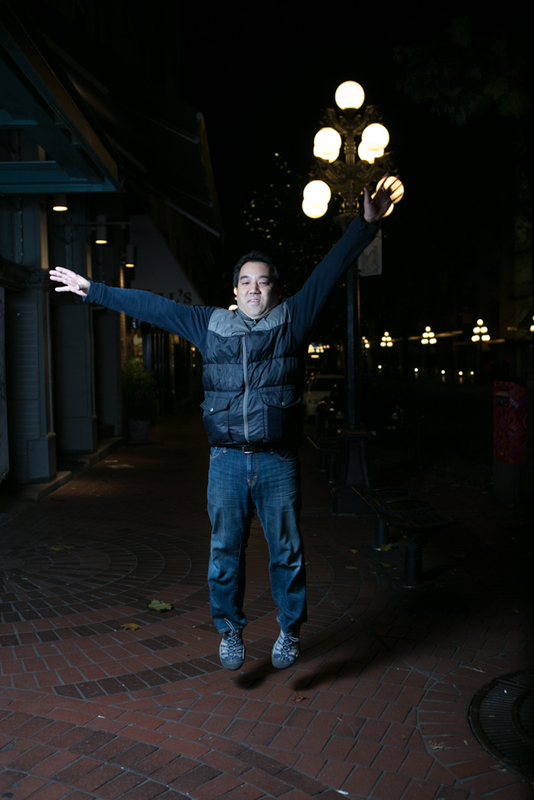 But it was a very precious opportunity for us to be out without the kids, so we went out, hauling my camera and lighting equipment to Gastown with us. I had an assignment I needed to do for a class, but I wasn’t feeling particularly inspired. We tried a few different things, but all I felt was “meh”. 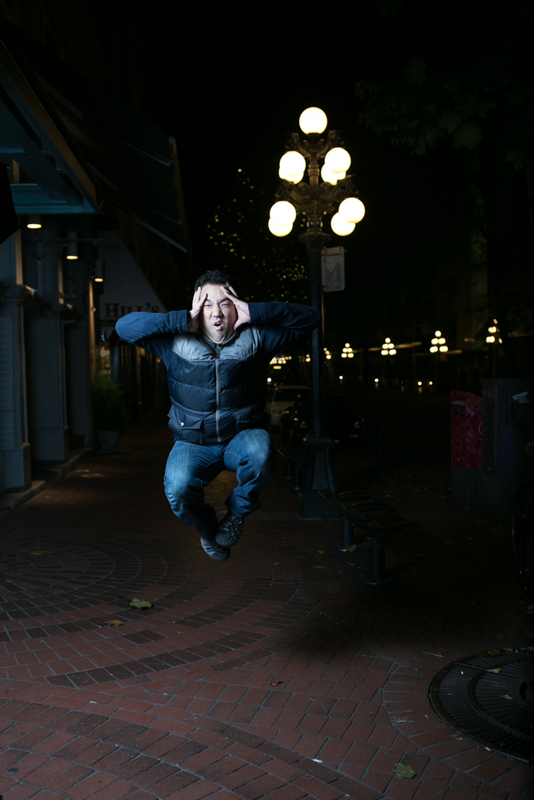 Standing on the sidewalk in Gastown, we started goofing around with the lights, and that was a lot of fun. 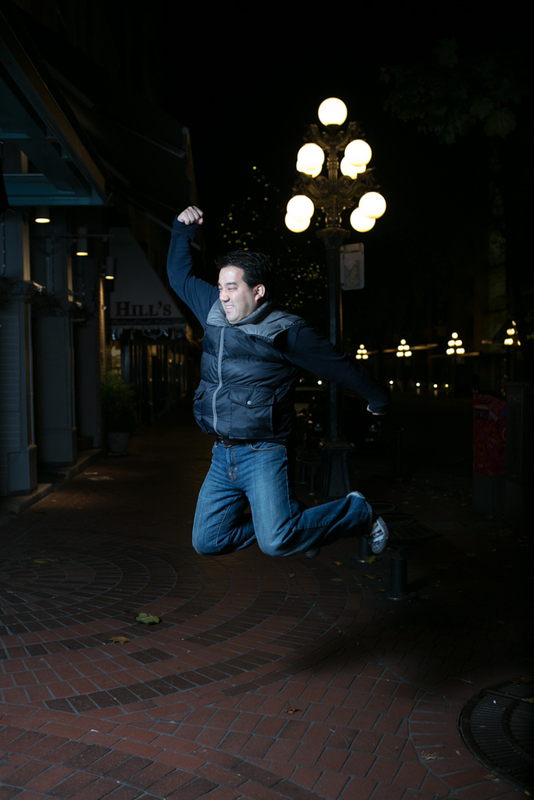 These are what we ended up with. 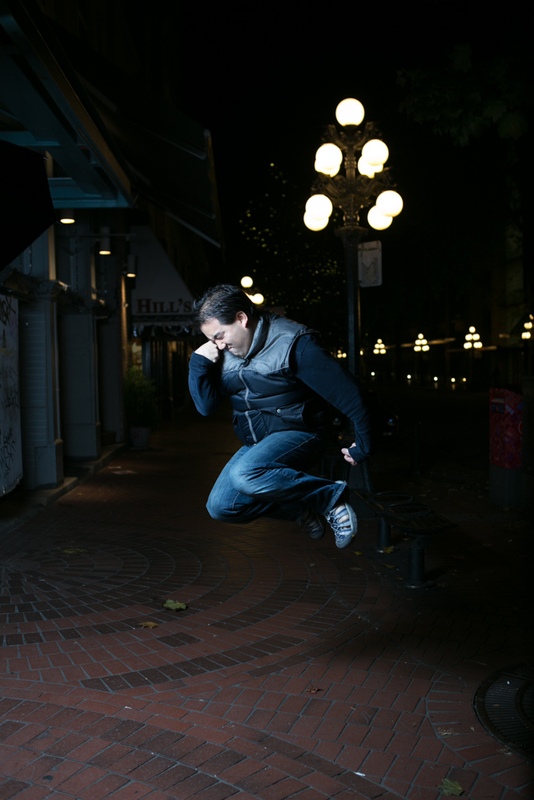 This entry was posted in Photography and tagged date night, gastown, off camera, photography, speedlight, strobist, Vancouver by angelasaito. Bookmark the permalink.